Which is the best mapping tool? Use ArcGIS desktop version in the data viz lab on the first floor of the library. QGIS is a free and open source Geographic Information System (GIS), which allows users to analyze and edit spatial information and also compose and export graphical maps. QGIS supports both raster and vector layers; vector data is stored as either point, line, or polygon features. Multiple formats of raster images are supported, and the software can georeference images. QGIS provides many external Python plugins that are provided by the community. These plugins can extend QGIS functionality and help you better view, analyze, and manage your data. 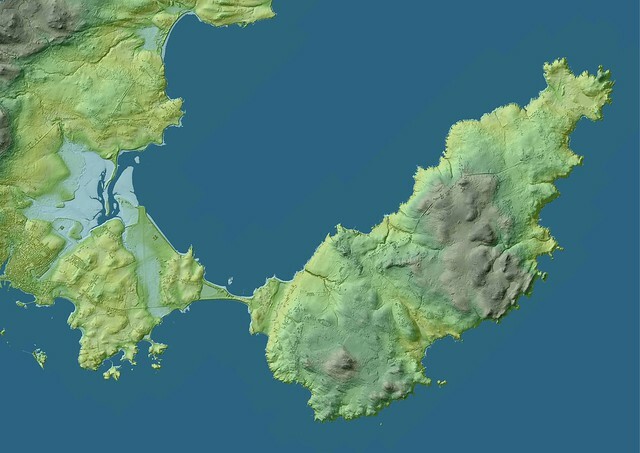 QGIS also contains many features such as viewing and analyzing geographical data, publishing maps to the Internet, For a more comprehensive description of QGIS’s features, visit: http://docs.qgis.org/2.14/en/docs/user_manual/preamble/features.html. Cited from Flickr QGIS group. Download QGIS for free and get started from its website. More example projects from QGIS Map Examples.